There’s only so much time in the day for the whole family to sit down together and enjoy a wholesome, home-cooked meal. Unfortunately for us, this means we’ll likely often be struck with some of those dreaded hunger pangs as we go about our jam-packed everyday lives. Enter snacking. Though it’s a heavily debated topic, let’s face it: snacking will oftentimes be our savior in the midst of a long day. But the real question remains: is this snacking really good for us? And for that matter, is it really good for the children? To be fair, there is a simple reason for why this topic is so controversial. “Snacking” itself does not actually possess a concrete scientific definition. Likewise, an answer as to whether this snacking is really beneficial (or detrimental) to a child’s health remains just as ambiguous. And because of this, the best we can do is to try and better understand it—and its implications—and take the time to analyze it from a few different perspectives. Statistically, children today are snacking more than ever before. According to Dr. Barry Popkin, a professor of nutritional health at the University of North Carolina, children aged between 2 and 8 around the world, on average, currently consume anywhere from three to seven snacks (which he designates as “[any]food consumed superfluously between the day’s primary meals”) every day. Compare that to not that long ago; the mean number of snacks consumed, per day, by children of the same demographic in 1970 was a mere one to two. So what does this mean, exactly? 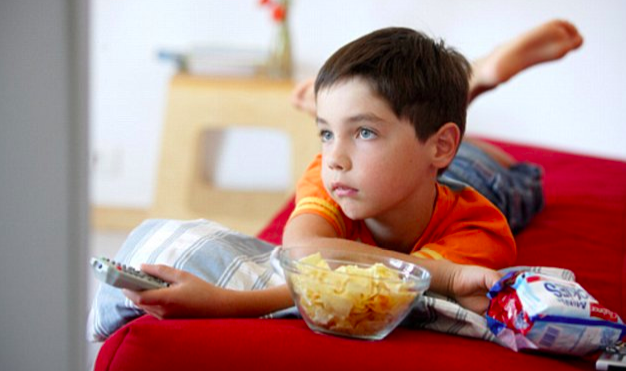 Are children today becoming intoxicated by the addictive nature of calorie-laden snack foods? Of high concentrations of sodium, sugar, and dietary fats? Well, not exactly. Or, rather, it depends. And this is exactly where the multiple perspectives angle comes in. Children are growing, and this in itself means that they have substantially higher energy needs than adults. Simply put, they burn a lot of calories every day just being them. 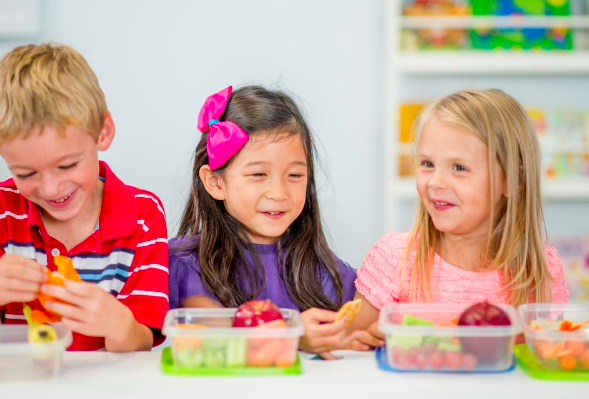 And to support growth in early years, it is beneficial for them to consume at least as many calories as they expend. The problem is that, oftentimes, even with three meals a day, it can be difficult to satisfy those caloric requirements, especially for children who are active in their day-to-day lives (think after-school soccer or basketball or tennis practices multiple days a week). This is where snacking is especially helpful—providing some growth-stimulating fuel throughout a child’s daily schedule. But again, multiple perspectives. Snacking carries with it a barrage of caveats that must be addressed. Despite the advantages that come with implementing snacks into your child’s diet, it must be done with care and strategy. This means paying close attention to not only the content of the snacks themselves, but also the ways in which they are being consumed. After all, packing pre-portioned organic nut butter with fresh celery sticks for your child’s morning recess is really not the same thing as allowing him or her to pop open a bag of deep-fried potato chips and plop down in front of the television. In summary, the takeaway should be as follows. First, monitor (if possible) and consider the quality of the foods your child is used to snacking on. If you find that their choices tend to lean towards the unhealthy, remember that small changes can really go a long way. For instance, 100 grams of watermelon yields a respectable volume of fruit, and boasts a mere 30 calories, while 100 grams of, say, M&M’s barely give you a measly handful, and pack on a whopping 480 calories. Second, consider constructing your own approach to snacking which you’d like to see your child adopt. If a kid is left to their own devices, it wouldn’t be surprising that they’d give in to their cravings and pick the cupcake over the apple. But few children would refuse the apple if it were given to them to begin with. Not to mention, introducing structure into the way your child snacks can provide a sense of comfort—for both you and them. If you know that your child tends to get hungry coming home in the afternoon, have some healthy snack options ready. You will be comforted to know what’s going into their bellies, and they, in turn, will know to expect a wholesome treat after a long day at school. Over time, a structure like this can adapt a child’s mindset—building, early on, a healthy and balanced relationship with food.